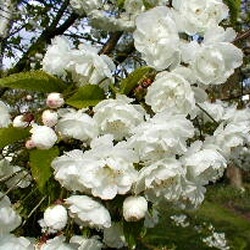 A very spectacular form of the wild Cherry, Scottish Gean or Double Gean. A British Tree or Native tree, this tree carries masses of long-lasting, pendulous, densely packed, double white blossom, which appears in spring along with the new leaves, followed by small reddish fruit. During autumn, the dark green leaves turn a rich, vibrant red colour. Almost pyramidical in shape, becoming more rounded over time (a bit like us as we age), this makes this tree ideally suited for a larger woodland garden or planted in a line along a driveway. 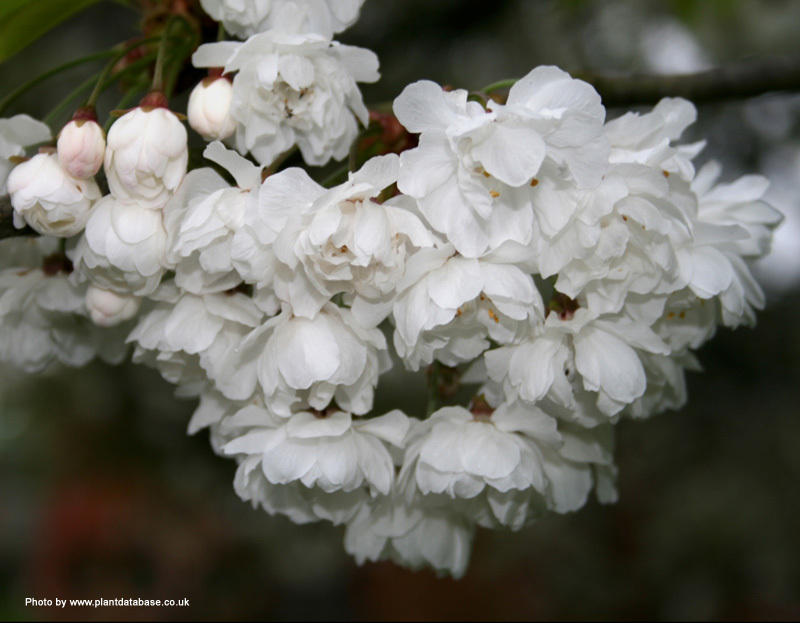 Prunus Avium Plena is a fast growing tree compared to other Prunus trees. Tolerant of chalk and clay conditions so it would not complain if you took it to some arts and crafts display where pottery and chalk drawing were featured. The RHS at some point gave this tree the Award Of Garden Merit (AGM) so if it impressed the experts, the chances are you probably will like it as well. An occasional thinning of the branches will promote new growth and will benefit the tree. Height at 10 years old will be around 6m but could go on to be more than that as it depends on local weather, conditions and environment. This tree is supplied at a height of between 1.5 and 2.20m in a 12 litre container, which means that the tree can be planted any time of the year and with better results than either bare-root or rootballed trees. 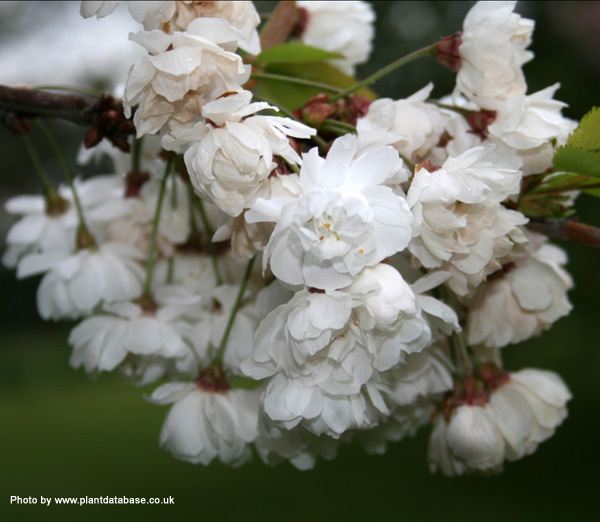 Should you require more information about our Prunus Avium Plena then read this description again or contact us and we will tell you to read the description again. 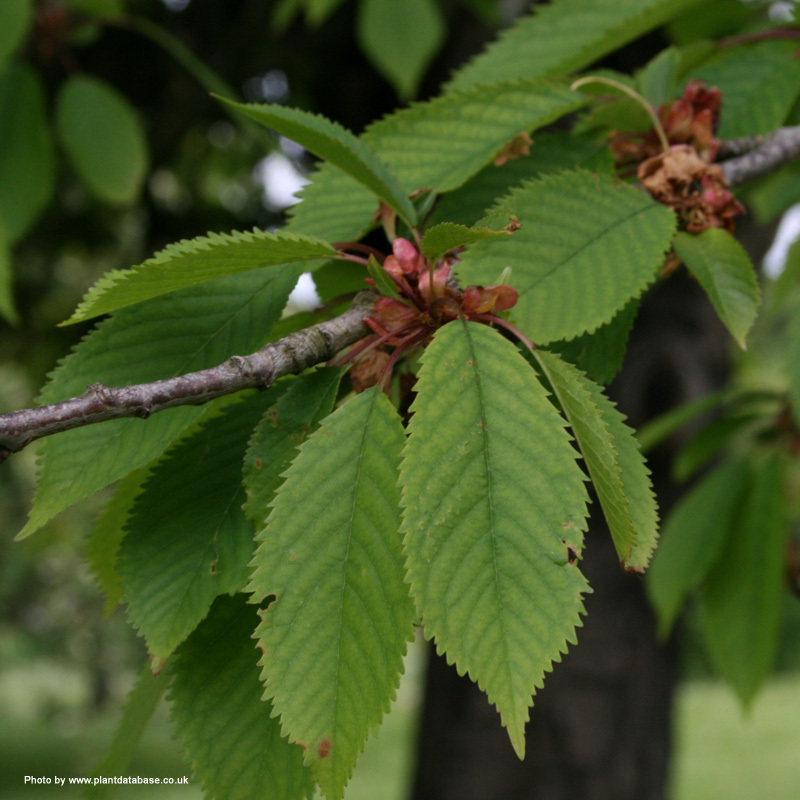 For a more helpful response to your Prunus Avium Plena questions try emailing us and we will speak to the tree consultant for you or Google it ourselves.